E-Girls reveal cover jackets + track list + preview for 2nd single, "One Two Three"
E-Girls have revealed the cover jackets, track list, and preview for their upcoming single, "One Two Three"! Set for release on April 18th, the single will be available in 2 different versions: CD+DVD and CD-Only. 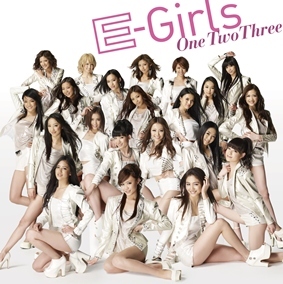 The single will also feature EGD (EXPG GIRLS DANCERS) members Kizu Reina (17) and Suda Anna (14). Furthermore, the girls will be holding a CD release event starting March 17th. Check out the cover jackets, track list, and preview below!